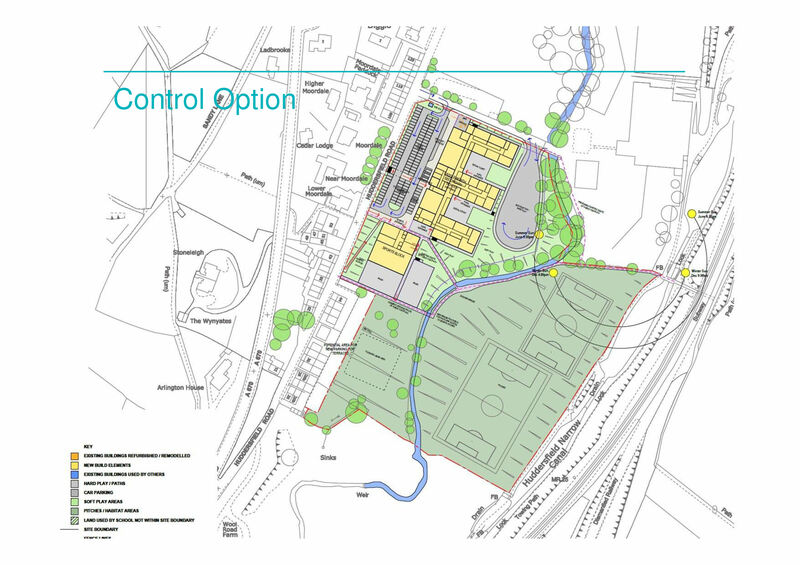 The EFA's proposal in Diggle, known as the "Control Option" is to rebuild Saddleworth School to a predetermined modern modular style on the green fields which abut Huddersfield Road, with a two storey sports block and flood-lit all-weather sports fields, with fencing occupying the remaining green belt areas of the valley. Please note that the Loom Works industrial site is unaffected by these proposals and will in fact continue operating with the proposed school next door. The School and industrial site will then share the same access road. 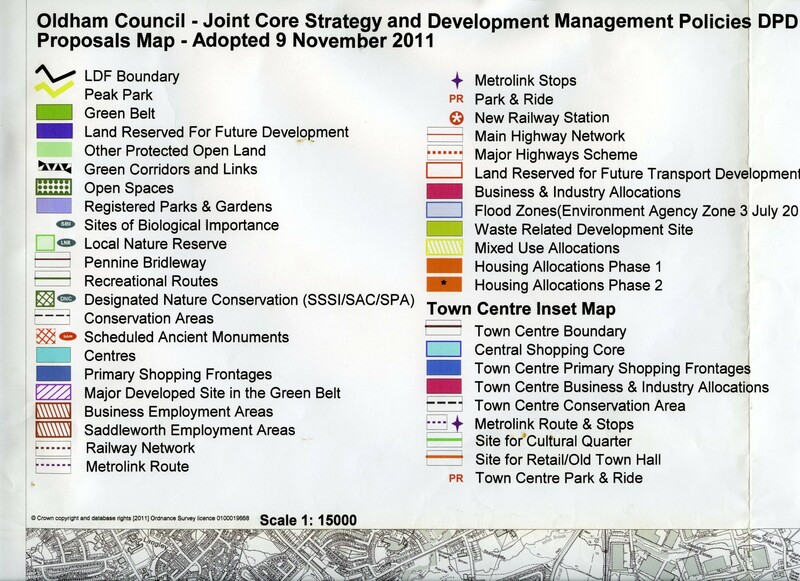 The plan shown below illustrates the proposals as presented at the public meeting on the 16th October 2013, in Uppermill. Below this is a picture of Campsmount Technical College, which is the modular style proposed by the EFA. It should be noted that Campmount Technical College caters for 760 pupils (half the number proposed for the new Saddleworth School) and the proposed new Saddleworth School will be a two AND three storey construction. 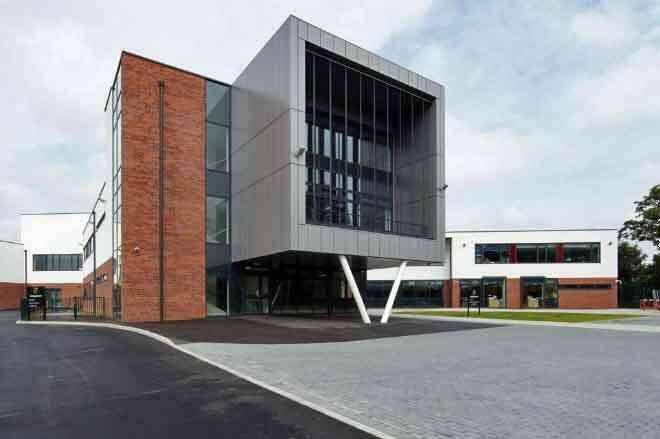 Campsmount Technical College, Doncaster. Design of the new Saddleworth School will be similar. "brownfield" land is previously developed land. 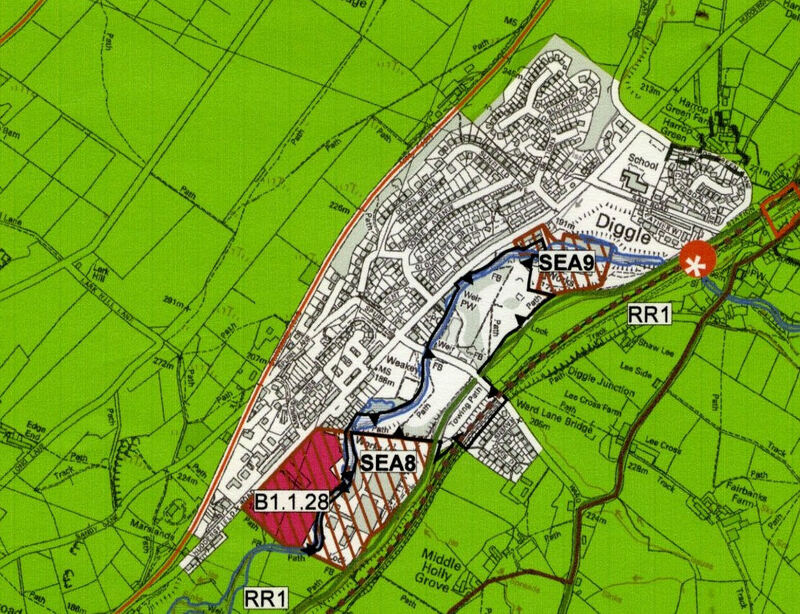 Beyond this, land is zoned on the Local Development Framework (LDF) as "Green belt", "Reserved for Future Housing", "Industrial", "Business", "Educational" "Other Protected Open Land", or "Unallocated". The fields in front of the pallet works are zoned for business, the pallet works itself for industrial, the land adjacent Green Belt. One class of development permitted in the Green Belt is playing fields or sports use. 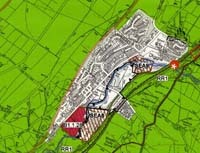 The fields in front of the Pallet works are zoned for business but are greenfield sites. The adjoining fields are Green Belt. If developed they are still Green Belt but become brownfield sites.